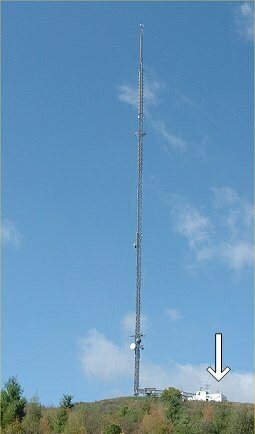 The Waterloo Wellington Packet Users Group (WWPUG) with the assistance of KWARC has installed a Peet Ultimeter 2000 automated weather station at the VE3KSR APRS digipeater site on the Baden hill located between Petersburg and Baden, Ontario. The data telemetry is beaconed on the VHF APRS network where it is gatewayed to the internet (by the server identified at the end of the 'Last report' line), then received and decoded by a process running on this server. This page has been accessed 936238 times.